A Newton woman is facing felony drug charges after being arrested by Taylorsville Police. 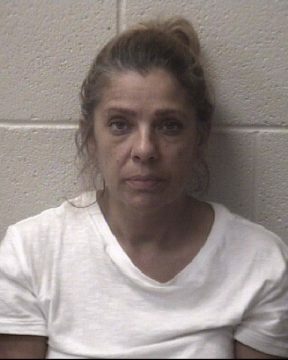 47 year old Lisa Deal Lozano was taken into custody on November 4th and charged with felony possession with intent to manufacture, sell, and deliver methamphetamine. She was also cited for felony maintaining a vehicle, dwelling, or place for controlled substance, and felony possession of methamphetamine. Lozano was placed in the Alexander County Detention Center under a secured bond of $33,000. Her next court date is set for November 19th.